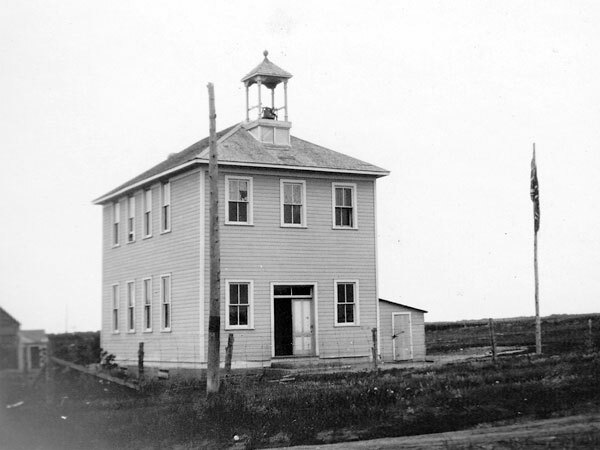 The Boundary School District was organized formally in May 1905. 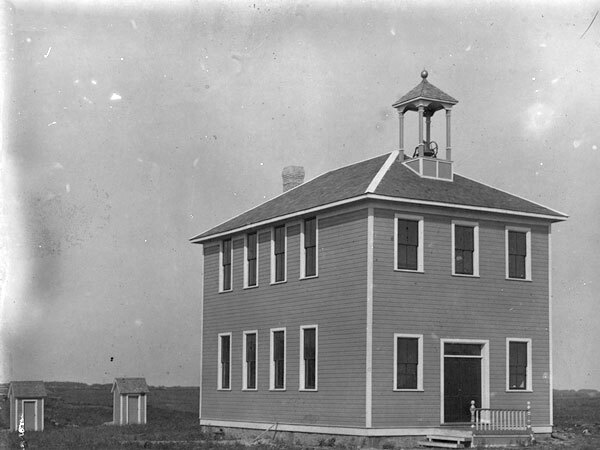 A two-storey wood frame school building, a rarity in Manitoba, was constructed in the village of Mowbray in the Municipality of Pembina. There were two classrooms on the main floor and an assembly / concert hall on the second floor. The bell tower on the roof was found to be unstable and was later removed. 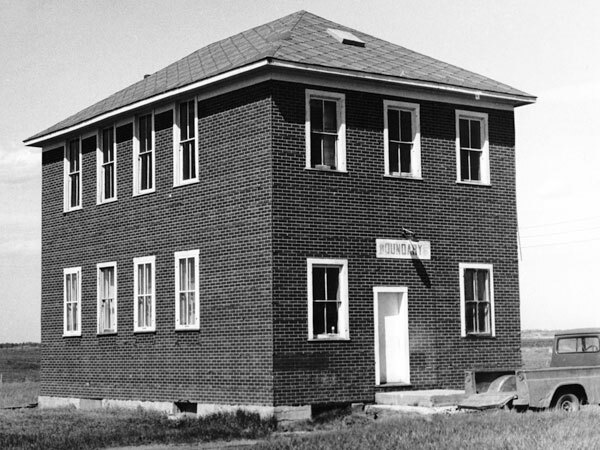 After the school closed around 1960, students in this area were transported to Manitou Consolidated School No. 314. The district was dissolved in 1967. The building sat vacant until some time in the 1980s when it demolished for its lumber content. As of 2012, the bell is located in a nearby farmyard. 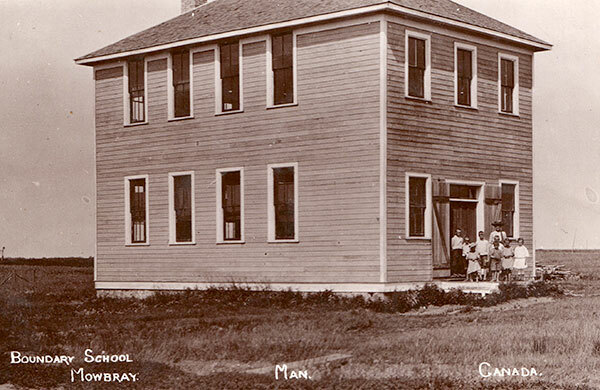 The teachers who worked at Boundary School through the years were Miss M. Whittacker (1906), Mary Affleck (1908), Mary MacLean (1909), Janet Pritchard (1910), Minnie Finley (1911-1912), Pearl MacCabe Scales (1913), Rebecca Johnston (1914-1915), Mabel Alsaker (1914-1916), Mary Burke (1915-1917), Hazel Stewart (1916-1917), Josie Weaver (1917-1918), Ida Atkinson (1917-1918), Chris Moffatt (1918-1919), Harry Hutter (1918-1920), Denstedt (1919-1920), Alice Finley (1920-1924), Veda Johnston (1925-1926), Violet Johnston (1926-1928), Walter Mark (1928-1929), Lillian Steeves (1929-1932), Marian Hamilton (1932-1936), Marguerite Mitchell (1937-1938), Constance Lovelace (1938-1939), Elsie Morgan (1939-1942), Margaret Potter (1942-1943), Gloria Shingleton (1943-1944), Norma Johnston (1944-1945), Shirley Burnett (1945-1946), Mildred Burnett (1946-1947), Helen Reimer (1947-1948), Mary Kerda (1948-1950), Alvin Neustaedter (1950-1951), Baldwin Berg (1951-1953), Ella Shiskoski (1953-1954), Angela Pantel (1954-1955), Mrs. M. J. Moffatt (1954-1956), Phyllis Brown (1956-1957), Annie Lawson (1957-1958), Lora Fast (1958-1959), Mary Foster (1959-1960), Donna Hume (1959-1960), Allan Thiessen (1960-1961), Dorothy Gower (1961-1963), Evelyn Fulford (1963-1964), Janice Sandercock (1964-1965), Mrs. Williamson (1965), Mae Jackson (1965-1966), and Hugh Lumgair (1966-1967). GR8461, A0233, C131-2, page 100. Source: Archives of Manitoba, Architectural Survey, Mowbray. This page was prepared by Al Thorleifson and Gordon Goldsborough.